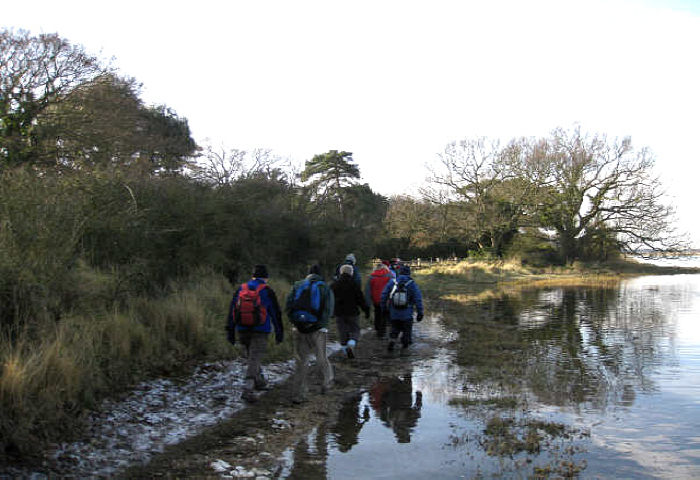 Welcome to the website of the Portsmouth HF Rambling Club, a friendly group of walkers with a love of the outdoors. We endeavour to organise walks every SUNDAY. Walks vary from 6 to 9 miles. The Club's overall purpose is simply to give its members the opportunity to enjoy walking in the varied and beautiful countryside around Hampshire and Sussex. The important thing is to start getting involved and enjoy the wonderful countryside we have in our area. Please remember to bring a packed lunch and drinks on ALL rambles and come suitably equipped. Dogs may be brought on rambles providing they are kept under strict control and the Walk Leader has been contacted and is in agreement. Please take a look at our current Walks Programme (via the menu) to see if you can be tempted. If you would like to join us for a walk, please email us on phfrc@outlook.com, or click "Contact" above. The Club was founded in 1927 and is affiliated to HF Holidays (www.hfholidays.co.uk). Cars and Walkers may wish to meet in Prince George Street Car Park, South of Havant Railway Station, to leave at 09:15 sharp (parking is free on Sunday's) although most Walk Leaders meet at the start of the walk. IT IS ADVISABLE THAT IF YOU REQUIRE A LIFT, PLEASE CONTACT SOMEONE TO ARRANGE or email us through the "Contact" menu and someone will endeavour to get back to you as soon as possible.